Our version of #SuspendedCoffees — Urban Flava Delivered FRESH™! #Flava Forward is the TSL version of #suspendedcoffee. It allows you to #contribute #money to those who may fall short or simply cannot afford to purchase our selections. 100% of the tips go to this effort. FLAVA it FORWARD TODAY! Click to FLAVA it FORWARD-Contribute Today! Made from mini white cukes we grow from seed, TSL Cucumber water is created from ingredients we grow annually. We use the proceeds to flava it forward allowing your tips to fill the gap when folks are short a buck or two allowing EVERYONE to enjoy a BIt Mo TSL! 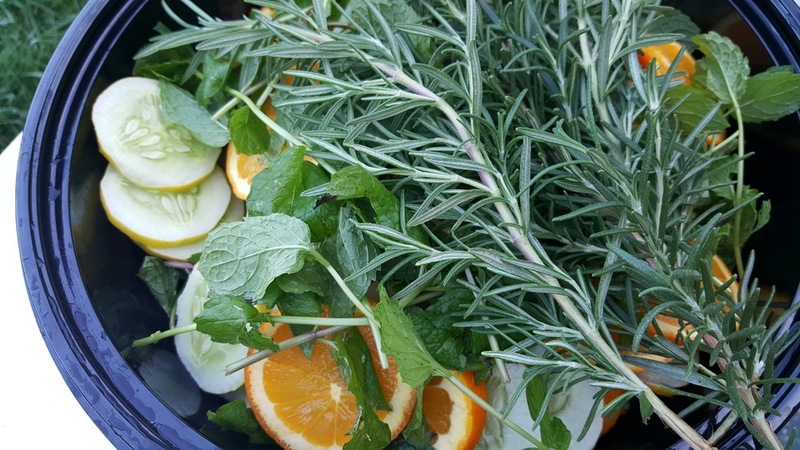 Fresh Rosemary, mint, white cucumbers (grown at #ThatRanch) and fresh oranges make up our summer cuke water.